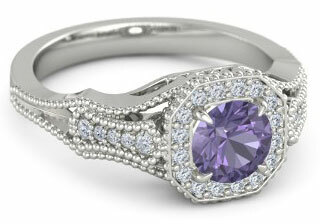 Iolite rings feature a striking gemstone named after the Greek word 'ios' which means violet. Today, the iolite gem is treasured for its enchanting color, its use in purple engagement rings and eye-catching wedding bands - plus with its high degree of durability this gemstone can easily stand up to every day wear. 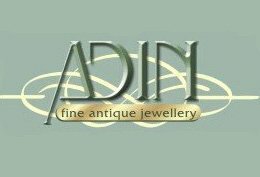 To find a gorgeous ring made with a quality iolite gemstone that will last a lifetime, use our helpful guide below including properties of iolite, price guides for iolite gemstones and extra shopping tips. 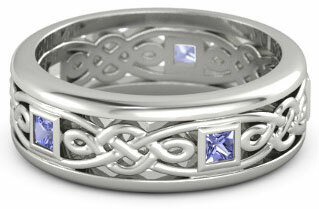 If you have any questions about iolite rings, send in your questions at the end of the page through the comment box! 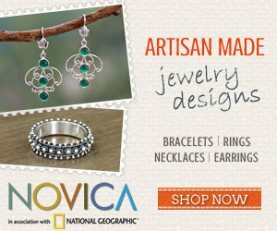 Birthstone month? None, but iolite is sometimes associated with Sagittarius. 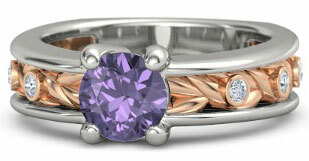 Iolite is an extremely hardy gemstone with a nice amount of flash and fire - especially for a darker colored gemstone. 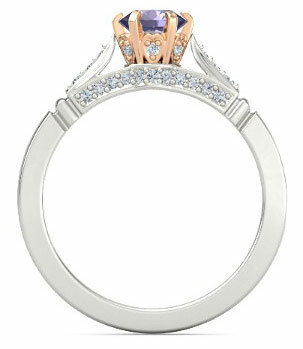 Iolite engagement rings will offer a unique and striking look while holding up to heavy wear. Iolite is also known as the water sapphire and the Viking's compass, and one of the unique features of the iolite gemstone is its tendency to transform colors when viewed at different angles - a trait known as pleochroism. While iolite gems remain largely unknown outside of gemstone circles, quality gems are found throughout the world. Why the iolite gem has never achieved a measure of popularity comparable to other types of abundant and durable enchanting gemstones - like aquamarine and peridot - is a true mystery. Iolite is an affordable gemstone due to its abundance. 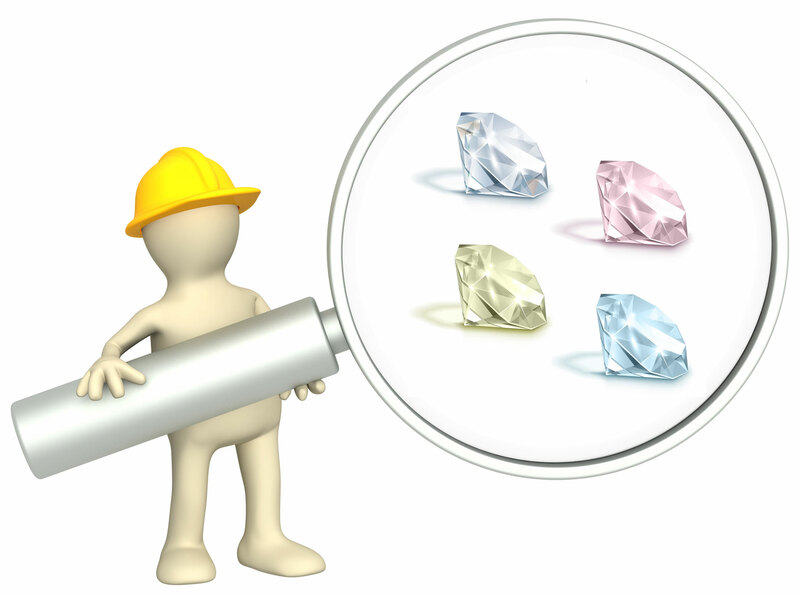 The gem is found in multiple areas including: Australia, Brazil, Canada, India, Namibia, Tanzania, and the United States. A popular legend tells a tale of Vikings at sea who looked through thin pieces of iolite to find the location of the sun on cloudy days - the iolite would exhibit a color change in response to even a slight amount of light, hence the name 'Viking's compass.' Perhaps it is this long ago tale that is the reason why iolite has always been a gemstone believed to benefit the wearer with the gift of inner direction. Whether this means gaining the ability to access personal inner knowledge, solve disputes, resolve financial troubles, or heal conflicts within a relationship, iolite is a stone of guidance. 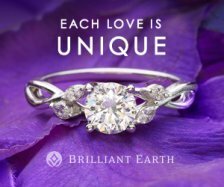 Couples searching for purple engagement rings, and wearers of iolite rings, may take heart in the meaning behind this fascinating gemstone. Currently, the majority of iolite gemstones are not enhanced in any way. 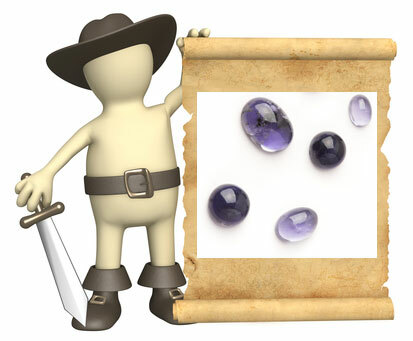 Avoid iolite gems which have received treatments to enhance their color or to fill outside blemishes on the stones - these gemstones are extremely poor quality stones and will not last. As a durable gemstone, iolite requires no special care with one small exception: the gemstone can fracture or break if it is exposed to pressure at a certain angle, and those who wear iolite rings should take care not to expose the rings to extremely hard knocks or blows. 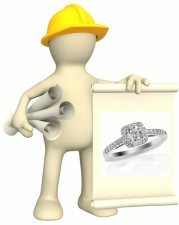 As with other types of wedding rings, iolite engagement rings and wedding bands should be removed before performing heavy duty tasks or if the rings will be exposed to harsh cleaning chemicals. If an iolite gem begins to lose its luster, a professional polish and buff will usually shine it right back to its original condition. 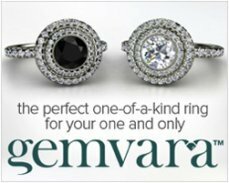 Top Iolite Wedding Ring Picks by Gemvara! 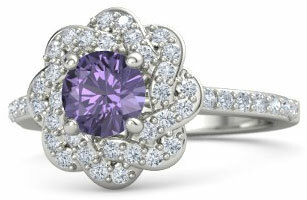 The average price of iolite per carat for a quality cut stone is $80.00 per carat. This price holds for iolite gem sizes of around 1 – 5 carats, but any stones larger than 5 carats are usually priced at a much higher per carat cost. The cost of an iolite gemstone can also vary widely according to the color, cut, and clarity of the stone. 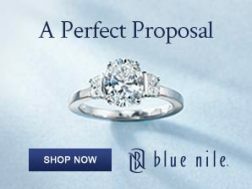 A high degree of clarity with few inclusions or blemishes can dramatically increase the value of the stone. Iolite often has small feather-like inclusions, so a high clarity iolite can be a rare find. The colors of iolite as a pleochroism gemstone will also affect value. 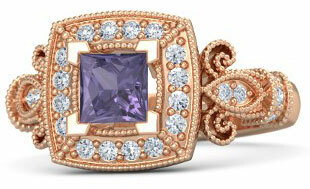 The most desirable iolite color is a deep violet with secondary flashes of blue. Less desirable and lower priced stones are a pale or steel blue color - with secondary flashes of yellow. 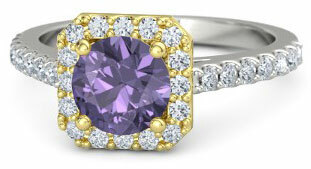 (Yellow as a secondary color in particular will decrease the value of an iolite gemstone). 1. A quality iolite cut will need to maximize the stone’s more appealing deeper purple/blue colors and minimize the lighter blue pleochroic color changes. 2. The gemstone must also be cut with care because of its cleavage. 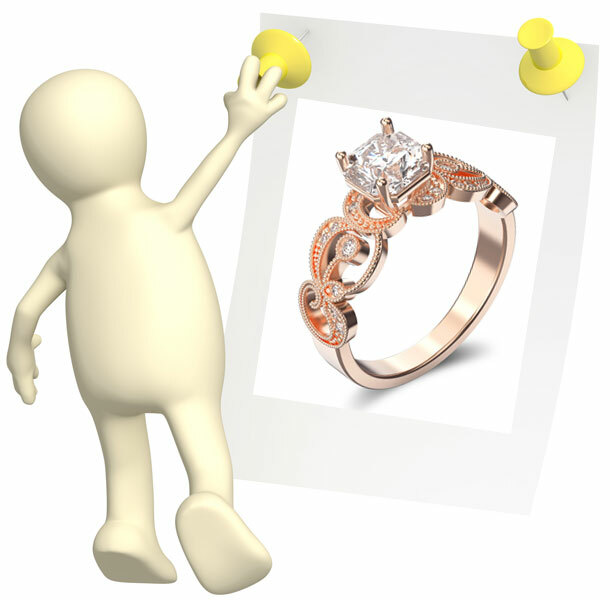 Like diamonds, if cutting pressure is placed on the stone at the wrong point the stone could crack or shatter. Because this is a challenging gemstone to cut, a custom cut iolite with excellent color and clarity traits will command the highest prices. For the long-term value of an iolite ring, and to make sure your ring is made with quality work and materials, it is best to purchase iolite rings in platinum, palladium or 18k rose/yellow gold. 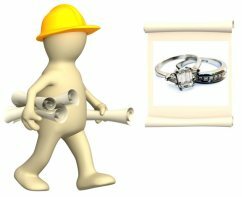 Because white gold requires a rhodium plate (which can add up to the long term expense of the ring plus may dull the iolite gemstone) avoid white gold iolite rings. Iolite tends to flash and sparkle more when paired with a white metal, but for an added pop of color try a 18k yellow or rose gold setting. In terms of cuts, iolite will shine the most in high flash and fire cuts like the brilliant round, oval, marquise, princess and pear cut. Even though iolite is a pretty abundant gemstone, ring-quality gems that have a quality cut can sometimes be a challenge to find. 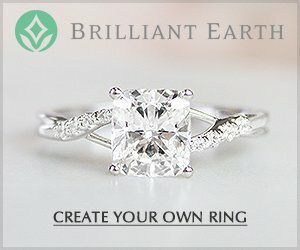 If you are looking for every day wear iolite rings and wedding bands, or unique purple engagement rings, keep in mind the three important C’s for this stone: color, cut, and clarity. Look for stones which are a deep violet color with secondary blue flashes which have a good clarity rating and a quality cut. Unfortunately, the market for iolite has been flooded with cheaper versions of this gemstone (the lower valued light blue to steel gray colors with secondary yellow flashes). 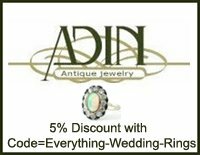 And while color can be a great indicator of whether or not an iolite gem is a great find, it is best to buy iolite from reputable jewelers who specialize in iolite rings and gemstone jewelry. Although iolite looks fabulous paired with any metal - palladium and platinum will maximize the flash, fire and bling of an iolite ring. If you would like an iolite gem in a rose or yellow gold ring, be sure the iolite is a deep purple color with secondary blue flashes. 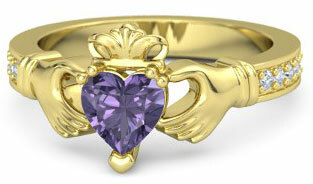 Yellow and rose gold iolite rings can emphasize undesirable secondary yellow colors in poor to moderate quality gems. 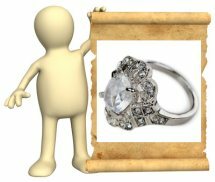 And remember, for all of your gemstone rings - stick with retailers and jewelers who offer a no-nonsense refund policy. 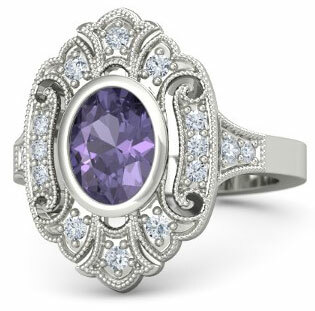 Do you have comments or questions about iolite gemstones or iolite rings? Send in your questions and comments, or share pics of your iolite jewelry here! 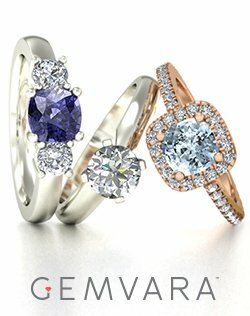 More Favorite Iolite Rings by Gemvara!